German Justice Minister Proposed A Bill Against Social Media Websites! German Justice Minister Heiko Maas threatens to fine social media websites for up to €50 million if they fail to remove defamatory content. This step is presumably taken to combat hate speech and fake news which is on the rise. The Bill is proposed by Heiko Mass himself on March 14th, 2017 which aims at fighting the criminal content on all the social networks and bounding them to show their due diligence on the subject matter of illegal content and their action plans on how they go about on handling cases related to the criminal content. The Bill aims to establish a transparent system where the complaints that are received can be monitored so as to strengthen the rights of those who are affected by fake news and hate speeches. This Bill would be applicable to those social networks which allow its users to create and share content with other users (Primarily every other social media these days). Those social networks which have less than 2 million registered users in Germany would be exempted from the proposed obligation in the bill. If this Bill becomes the Law then there would be massive surveillance that’ll be carried out to ensure the ruthless censorship and social media companies like Facebook and Twitter would be required to respond and remove the criminal content within 24 hours after the complaint is made. The corporations then themselves have to decide what actions they have to take to respond to the complaints and what necessary actions they have to take to ensure that it suffices the mentioned punishments laid down in the proposed Bill, which can also lead to a €50 million fine. The irony is that once the original content is deleted, the provider then has to ensure that another copy of it doesn’t surface on the social media, and if it does, the provider has to ensure that it too gets deleted. 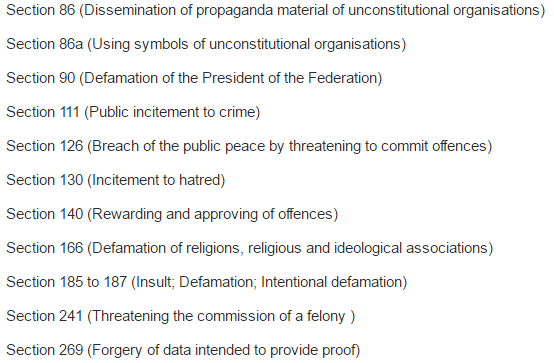 Moreover, a copy of the defamatory content would be kept and saved as evidence by the authorities. This bill has surely raised some serious concerns among politicians and internet activists. It is being said that the deadline which is being mentioned for removal of the offensive content is too short and could require more time. Others say that they see this Bill as a nemesis of free speech. Furthermore, it appears that this Bill is highly unlikely to be approved before the scheduled elections which are to take place on 24 September 2017. However, the citizens of Germany are warned and it’s high time for them to anonymize their digital footprints. It’s happening! Authorities around the World are forcing Internet censorship in some way or the other. Not just the political states, individual users personal identity can also be compromised if mass surveillance will be practised in the country. We advise that users’ should take their privacy seriously before any bill or law is passed and ensure that their personal identity and privacy is not compromised by any means.